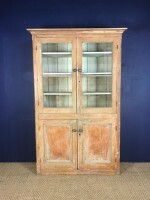 A Devon painted pine glazed Kitchen Cabinet circa 1850 with original dry scraped decoration the interior doors painted in duck egg blue. 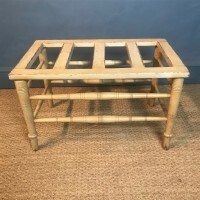 A large Aesthetic Movement painted pine luggage rack circa 1880 with the original painted decoration. 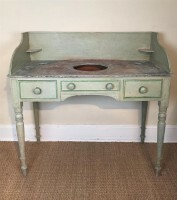 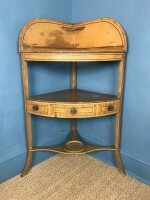 A Regency faux bamboo bow front painted pine corner washstand circa 1830 with the original decoration. 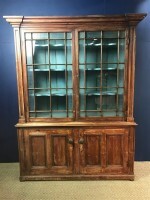 A mid 19th c Cornish painted pine kitchen cabinet Tamar Valley circa 1870 of architectural form and in lovely original condition with duck egg blue interior and etched glass doors. 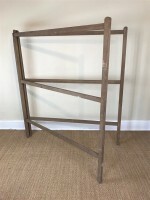 A large Victorian painted country house towel rail circa 1880 with hinged sides and three hanging horizontal rails. 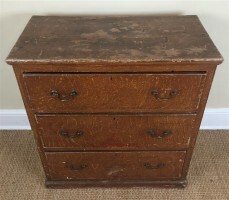 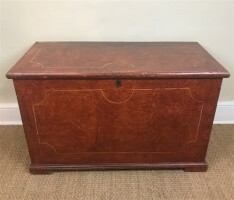 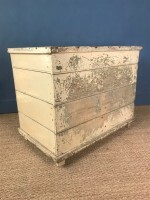 A mid 19th century West Country painted pine box with all the original painted decoration and blue paper lined interior. 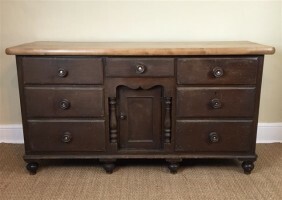 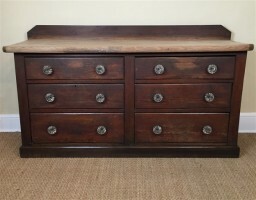 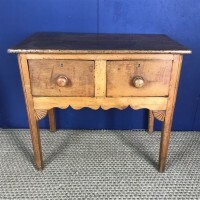 A late 19th century Lancashire Pine and sycamore dresser base with the original painted decoration and scrub top. 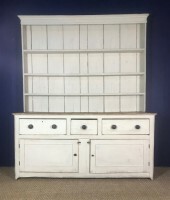 A late 19th century pine shop display counter with scrub top and the original painted decoration the six drawers with glass handles. 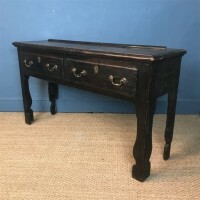 A Regency painted pine wash stand c 1830 in completely original condition with two drawers flanking a dummy drawer on turned legs. 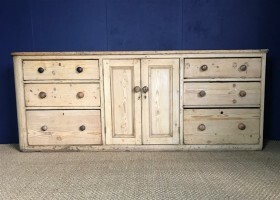 42 ins wide 20 ins deep 41 ins high overall.